What kind of hearth-less pscho-path doesn't like a good smoking section? Not me. 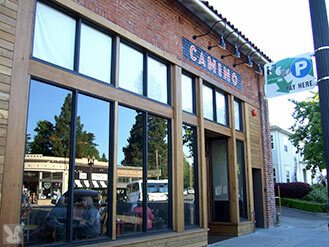 When I want fired up food all up in my grill, Camino is the enlightened route to Russell up some Moore chow. A welcoming, efficient and friendly staff makes for an enjoyable evening. There was no corporate video style up-selling, just a relaxed, no-pressure, approach. There is both communal and munal seating in the large dining room bordered by an open kitchen. Beautiful wood tables made from naturally fallen redwood and long benches keep the runners from taking shortcuts across the rustically chandeliered dining room. Wooden chairs collected from a British church continue to support divine arses. There are no cushions, so if you do not find yourself in possession of an adequate amount of junk in your trunk, you may have to truncate your meal (or just have a couple extra desserts.) You can smell the wood oven from a block down the road so you may have a flashback to camp in this cinder-side stadium. Top notch ingredients are highlighted with a style of preparation that is meant to accentuate the well sourced chow. 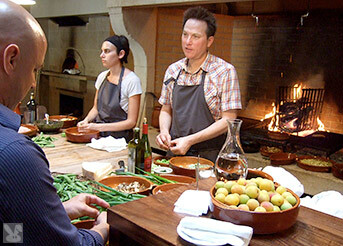 The menu reflects a seasonal, flexible sensibility in which brief is chief. 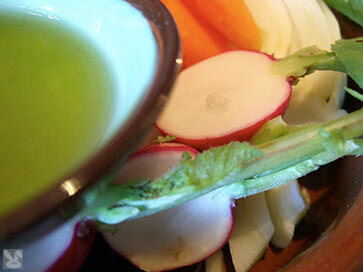 The menu changes daily, so go with an open mind and an empty stomach. 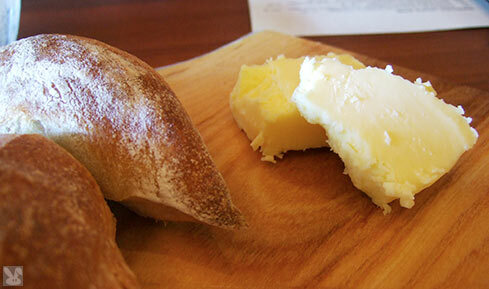 Acme epi with sweet butter and salt churned up our anticipation of the meal to come. Fava toast ($3.00) was a smashing de-Lector-ble bite. 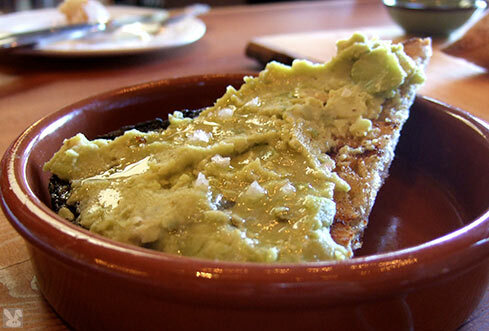 Grilled Acme levain, olive oil and chunky salt made this green spread a seasonal sensation. Carrots, radish and fennel ($3.00) with olive oil and salt was a wonderfully naked dish that relied upon good sourcing and freshness. 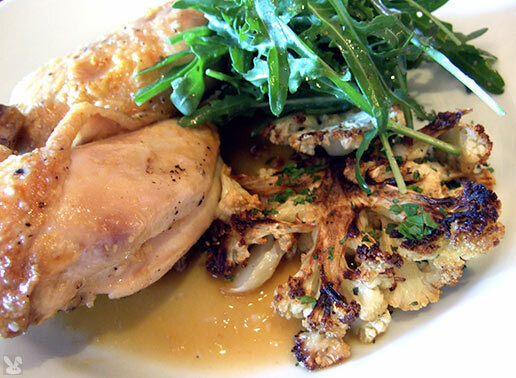 Moist roasted chicken ($22.00) was given free range in the wood oven before resting on a field of rocket salad bordered by caramelized cauliflower. The coddling of the ling cod ($25.00) included a well-monitored migration across the grill until it achieved the perfect level of doneness. 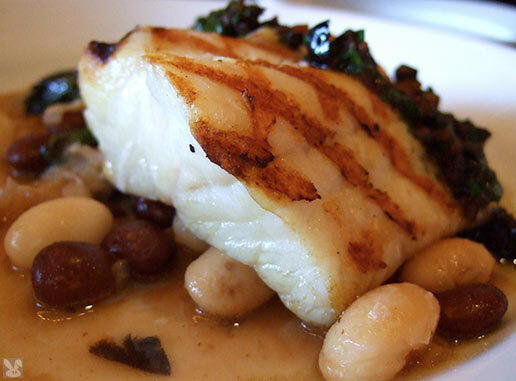 This local cod was spark-lingly presented with beans and braised lettuce. 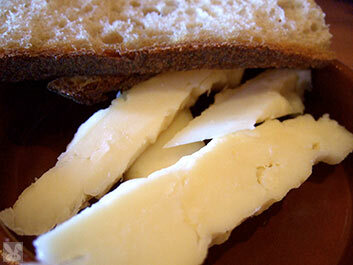 We were surprised that the Fiscalini bandage-wrapped cheddar ($4.00) did not contain any band-aids. 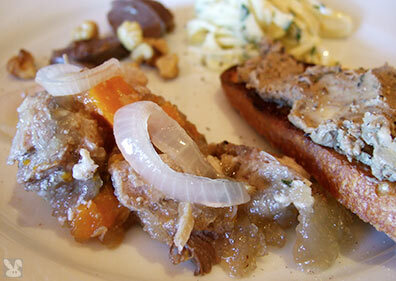 It did however, have traction with its aged, grassy hemorrhage of flavor. The only thing that would have made this more enjoyable would have been an apple. 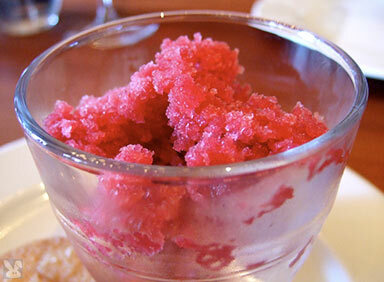 A refreshing granita ($7.00) of red wine and strawberries was served with crisp, buckwheat sugar cookies and candied Meyer lemon peel. Russell Moore and Allison Hopelain have put together a seasonally sensitive eatery with brevity and levity. One for each chromosome combo. The best part of the clean and well-stocked washrooms was the hand dryer. I hate those old fashioned, push button, inverted hair dryers that blow a overly hot breeze at your eternally wet hands, but I love Camino's motion sensor, turbo jets.